Multi-Wan allows you to forward request to different Internet connections using several routers. 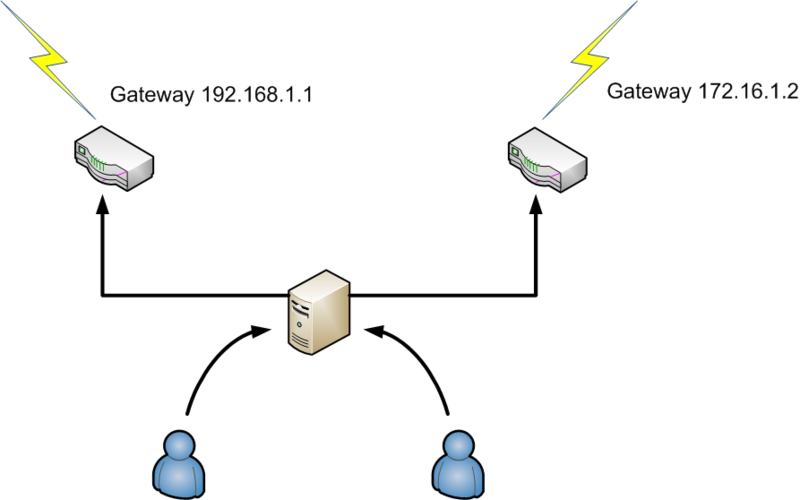 In our example, the proxy using 2 network Interface, each Network interface is linked to discuss with a specific router that using it’s own Internet connection. 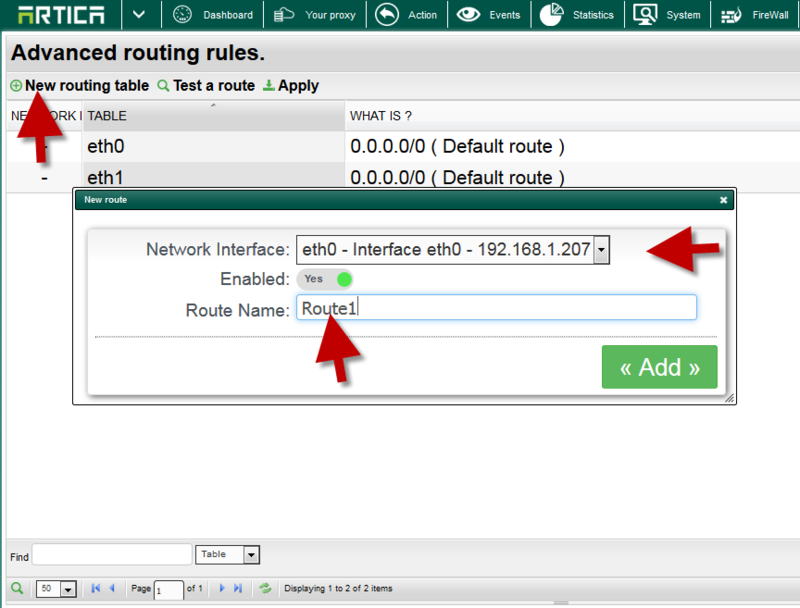 To use this approach, you need to use the “Routing rules” feature in order to ensure that Network Interfaces is enforced to use a separate routing table. Under Network & NICs, click on Routing rules link. The table shows you the default routes used by the system. Choose the Interface and give a route name. Set the same operation for each Network Interface. When finish, click on Apply button. 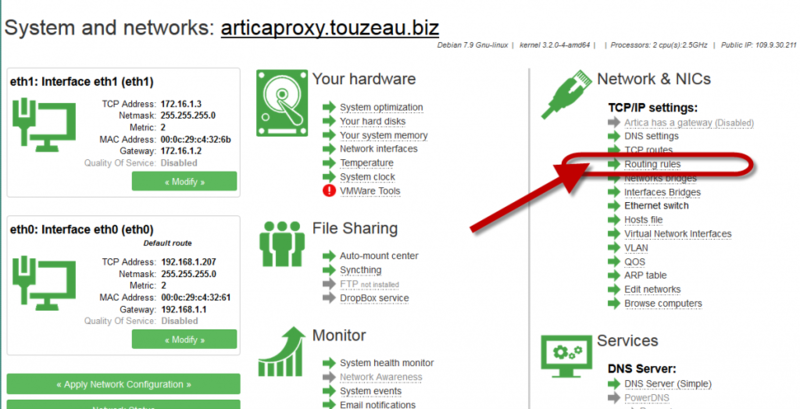 ← Monitor your Artica server with Sealion service.